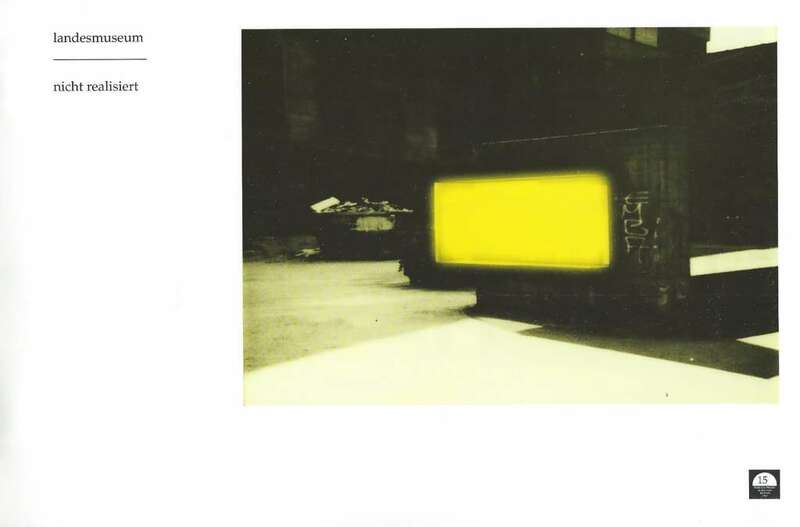 At my final year in the Academy I went to Münster to show my projects with Yellow Light. Should I wait till I am 60 to be invited or just go to the party uninvited? Kasper König made it clear to me in his office at Landesmuseum that this was a private project, and I accepted that. I went around Münster on a bike and some places were peculiarly familiar. I recognized the sites were Thomas Struth had made his photoseries in 1987 project. I polaroided them and some more places, among them the exellent Reinhardt Mucha proposal site from 87, the vitrine in front of the Landesmuseum. 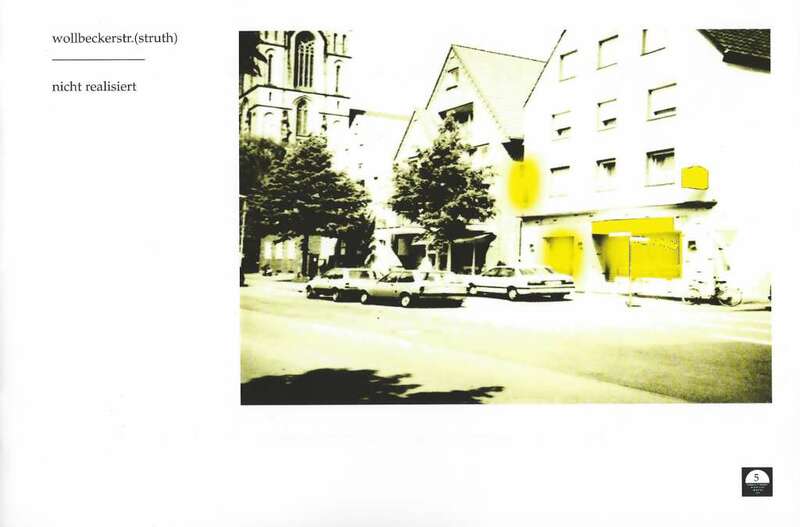 My idea was originally to make a serie of Unrealized projects as shown in the attached PDF, but then the buzz of Münster this spring, made me want to realize one project, in a pavillion kindly lent to me by the Bihöflicher Priesterseminar at Überwassekirchplatz. I went home to school for 4 days, made a catalogue, poster and pressrelease, went back to Münster to start installing. Even though I managed to install, vernissage and promote my project, it was never really strong, partly due to the light summer evenings and some rush decisions.